Personally I am opposed to moving the speedo to the battery box because then you need to unplug all sorts of wires every time you need to remove the battery box cover, and the fit is EXTREMELY tight. So there is tons of different options out there for retrofitting your handlebars. I’m only going to talk about the standard clamp and bar style. One thing to note when transitioning from the stock bars to aftermarket is you will have to grind off a pin in the inside of both controls. The pin can easily be removed with a demmel. 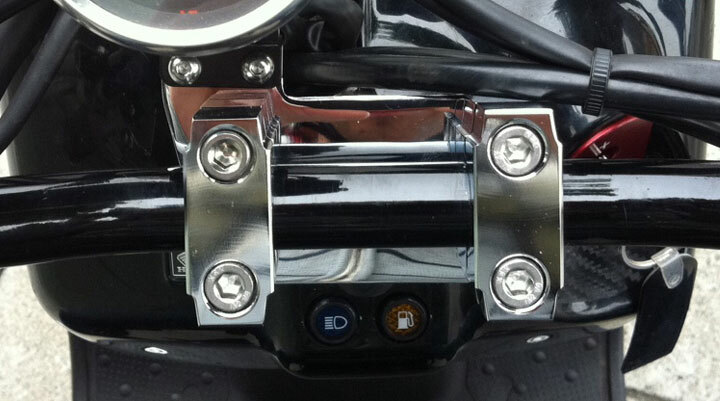 I have actually tried quite a few clamps, and if you are planning on still using the stock speedo nothing beats the price and cleanliness of the Kijima bar mount. 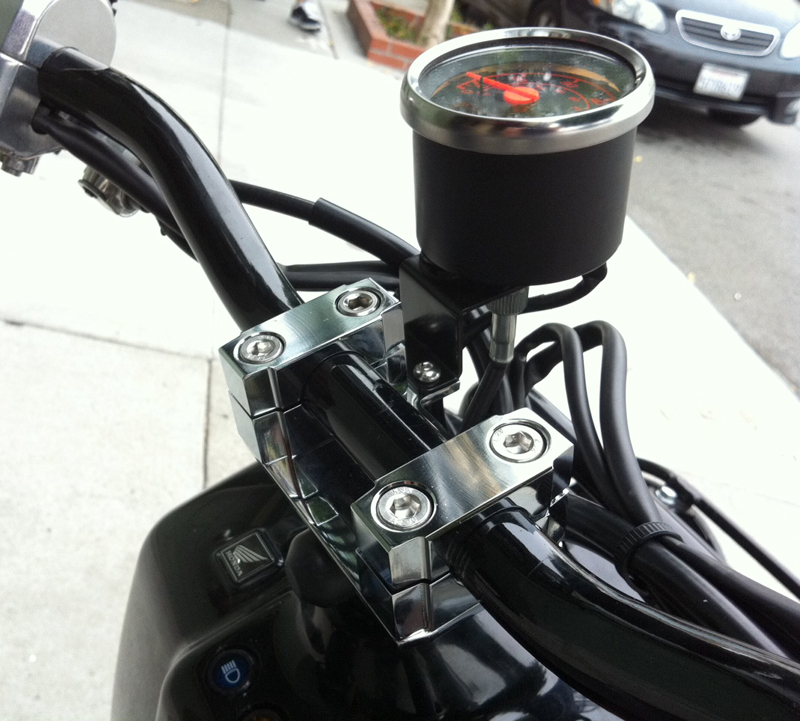 Fits tight, no wobble, solid speedo mount and looks great, very happy with it.